Hansard does not record standing ovations. The Acting Speaker (Mr. Jim Wilson): Pursuant to standing order 98, the honourable member has 12 minutes for her presentation. Ms. Helena Jaczek: At the outset I would like to make sure that everyone knows that this bill, Bill 102, An Act to amend the Arthur Wishart Act (Franchise Disclosure), 2000, is co-sponsored by my colleague from Parkdale–High Park and my colleague from Parry Sound–Muskoka. I think that this type of collaboration is something our constituents expect of us. We know that in our ridings many people did not actually vote for us or our party and it is our duty to represent them in this House wherever we can. It has been certainly an interesting and very satisfying experience to work with my two colleagues on this particular bill. 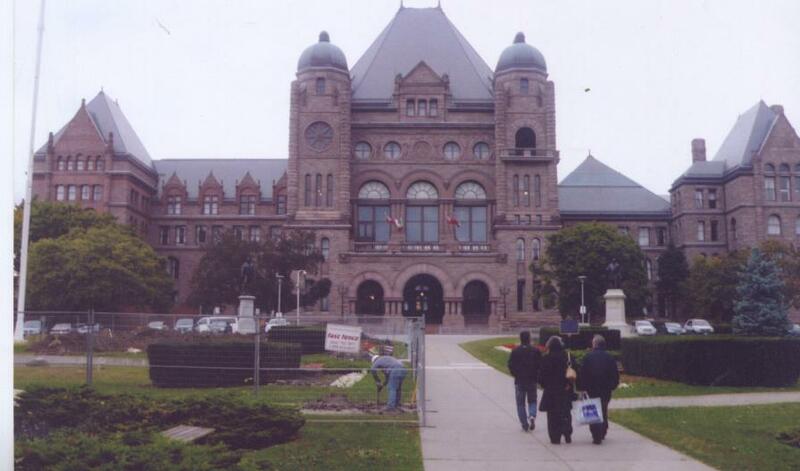 I’d also like to recognize in the west members’ gallery some supporters of the bill: Les Stewart, the founder of the Canadian Alliance of Franchise Operators, and Detective Fred Kerr, the corporate fraud manager for York Regional Police’s major fraud unit. This entry was posted on Sunday, November 6th, 2011 at 10:11 am and is filed under WikiFranchise.org. You can follow any responses to this entry through the RSS 2.0 feed. You can leave a response, or trackback from your own site.